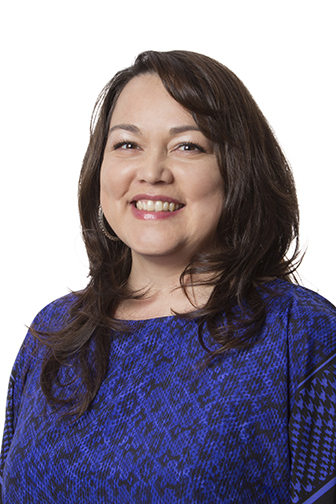 Dr. Trudy Cardinal is a Cree/Metis educator from Northern Alberta. She is currently an assistant professor in the Elementary Education department of the University of Alberta. As a former Elementary School teacher of 13 years, a mother, a grandmother, an aunty, and an Indigenous scholar she is dedicated to continuing to deepen understanding of the educational experiences of First Nations, Metis & Inuit children, youth and families. Her current research is an inquiry into former teacher education students' thinking in regards to the possibilities relational pedagogies and Indigenous ways of being and knowing create for shifting how schooling attends to literacy, particularly literacy in an Indigenous context. Trudy Cardinal’s research lends itself to: Identity negotiations of Aboriginal children, youth and families in and out of schools, narrative inquiry, Indigenous research, and teacher education. I recall many moments as a little girl of sitting as close as possible to the women who would gather in kitchens sharing a meal, or on the land picking berries, or in vehicles travelling together to distant place. In these moments listening to the conversations I would try to understand the motivations of the characters in the stories they told. I would try to understand the subtle shift in the stories and storytellers depending on who the audience was and the context of where the conversations were held. I was already, at that young age, fascinated with stories; the stories themselves as well as the ways stories would shift in the telling and retelling. I have come to believe that the story itself should be the teacher (Archibald, 2008) and that there is much to be gained in the telling, retelling and inquiring into story. I began to see how even as a little girl I understood the importance of learning through life, through the living alongside of others and also to the ethical responsibility involved in narrative. Cole says, “their story, yours, mine—it’s what we all carry with us on this trip we take, and we owe it to each other to respect our stories and learn from them” (p. 31). In my teaching in the past, in an elementary public school setting, and now as a university professor, I am aware that the relational way I engage in those activities resonates with Clandinin and Connelly’s understanding of teaching, as an experience that is relational and that takes a stance of inquiry, where people interact to tell, retell, live and relive their experiences. Embedded in this process are inherent possibilities to shift lives. I think about Cole’s (1989) words and I continue to be aware that the telling, retelling, living and reliving of experiences calls forth obligations and ways of interacting and responding to and with one another. Attending to how my students are experiencing my teaching will require a wakefulness and attentiveness to be present in all our interactions. Excellent teaching will require that I remain faithful to the relational ontology that is also part of narrative inquiry and paying attention to the relational and relational knowing while also acknowledging that lives are always in the midst.